Russia has presented what it says are witnesses from Douma in Syria who support its claim that an alleged chemical attack on the town was staged. At the headquarters of the Organisation for the Prevention of Chemical Weapons, which is investigating the attack, Russian officials claimed western powers had jumped to conclusions. 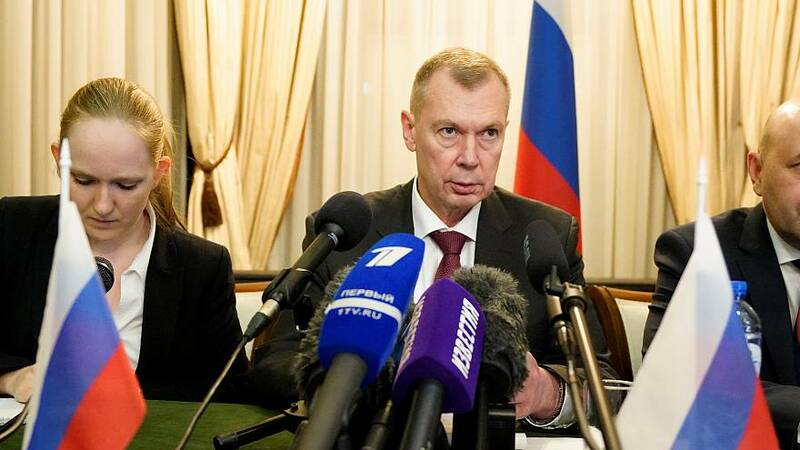 Aleksandr Shulgin, Russia's permanent representative to the OPCW said: "It seemed that common sense demanded to wait until experts examined everything 'with their own hands'. However, the USA, Great Britain and France did not wait, and even before the experts started their work, they declared that for them, everything is clear, the guilt of President Assad in of no doubt." During the briefing, 11-year-old Hassan Diab and his father both claimed they didn't believe there had been a chemical attack. Doctors, however, said they had treated patients with symptoms matching exposure to chlorine and nerve agents.